It was a dark dark day for marketers when Twitter bought TweetDeck and closed the old development path in favour of releasing a stripped back and simplified new version. Since then, many have chosen to stick with the old download of TweetDeck available from sites like Old Apps, myself included. Others will have made the leap to HootSuite, thanks to its close ‘column-based’ similarity. What hope is there on the horizon for a new tool that lets marketers post to and monitor different accounts quickly and easily from a native app? 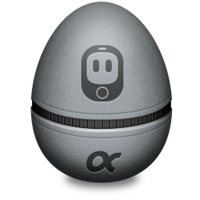 Today, the latest upgrades to the alpha of Tweetbot have suddenly burst it into the running as a potential candidate. Anyone who has used the iOS apps will be right at home with the interface but this desktop equivalent has now added the ability to pop out columns and build a custom ‘deck’ from different accounts. You can in fact create various lineups pinned together to give you different levels of detail or lump different topics together – even handier with OS X’s multiple desktops. Any marketer will know that it’s these columns that are essentially to monitoring the vast range of searches, accounts, mentions and suchlike that our jobs require today. It also really makes the most of what separates a native app from web apps, integrating with Mountain Lion’s notifications center and including little interface touches like swipes on tweets to see the full conversation. Perhaps best of all, we’re looking at version 0.6.3 of the software here -an alpha offered for free to all Mac users. With that in mind, and the knowledge that the designer of the previous best Twitter app Tweetie (which was bought by Twitter and became the official iOS and Mac app) has now left the company, it’s hard to see many apps out there with a brighter future. What would I like to see next? I know it’s Tweetbot but adding extra networks would be the icing on the cake. It would also be great to have more options to pass a tweet on via e.g. email. But I can wait for those, it’s worth your time to give it a try today. In the UK the deadline for compliance with the EU cookie law has come and gone and either you worked like crazy to get your site reconfigured to be in compliance or you decided to wait it out and see what happened. (Lots of us are still waiting). But are you ready for the next deadline? For those of you who have implemented a solution and collected your consumer’s consent regarding cookies you may not know that there is another deadline coming on or around the 26th of June. 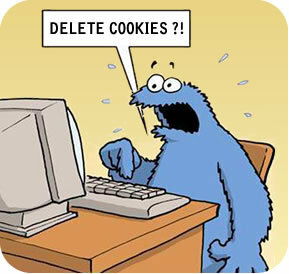 The date by which at least 35% of third party cookies will have been deleted. It seems like storing the cookie preference in a cookie may not be the best solution, but are their other options? Yes, Device ID. With Device ID a website owner gets to have the value exchange discussion with a consumer just once and then to store their preference in a way that doesn’t get deleted every time a consumer clears their cookies. 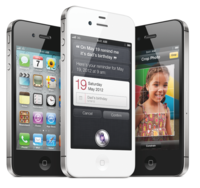 Is your mobile strategy fit for purpose? It’s apparent to everyone in digital marketing that all businesses need a mobile strategy, yet a number of brands are still dragging their feet. In a talk at Econsultancy’s Future of Digital Marketing event, addictive founder Simon Andrews looked at where brands should be focusing their mobile efforts this year. Noting that 80% of brands still don’t have a mobile optimised site, Andrews said that the opportunity was now too big to ignore. “You are losing money by not doing it properly now – if you’re not doing it then someone else is”. He said that on average 18% of the population in a given market uses 3G, and predicted that within the next eight years nearly all consumer behaviour would be driven by mobile.